My favorite part of a Saluki basketball game, besides winning, is the Dawg Pound. Students gather in the stands on the south side of the arena – the Dawg Pound – to demonstrate their support of the team loudly. 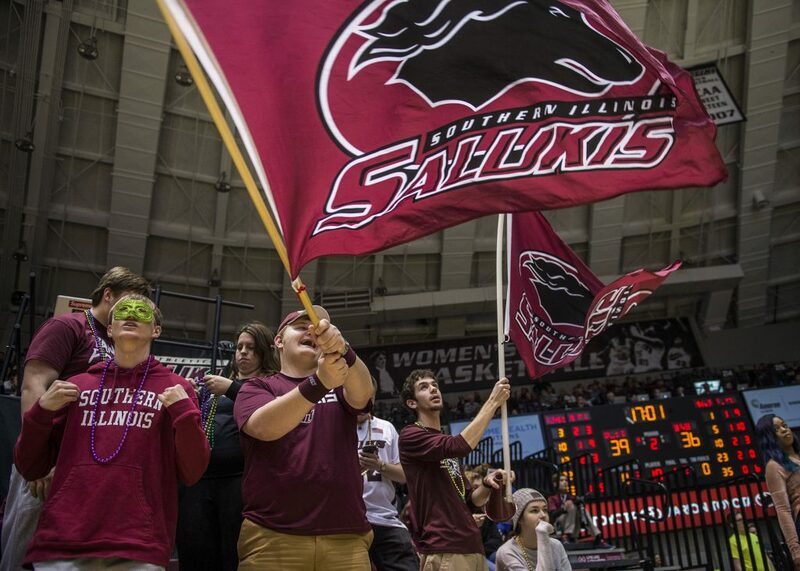 They cheer in full Saluki gear, follow the cues of our great pep band, and add their own form of entertainment to the game experience. One example: At the Bradley game, it was quite a sight as they threw confetti when the team was announced. Dawg Pound brings a positive energy to the SIU experience that I hope we can spread across campus. Let’s do it! I hope to see a great turnout, both in the Dawg Pound and the rest of the arena, for the last home men’s basketball game of the season vs. Loyola at 7 p.m. Wednesday, Feb. 21, in SIU Arena. It should be a great game, as the team is currently in second place in the conference standings behind Loyola. We also hope for a great showing at the Missouri Valley Conference championships in St. Louis March 1-4. The women’s basketball team, also doing well and in fourth place in the conference, has two more home games: Thursday, March 1, at 6 p.m. against Indiana State and Saturday, March 3, at 2 p.m. vs. Evansville. Both games are in SIU Arena. The MVC championships follow March 8-11 in Moline. Please come support our student athletes.